Samsung Refrigerator Randomly Beeping – What Causes Alarm Beeps? -The “Door Alarm” beeps when the door is not completely closed or left open for approx 3 minutes. -The “High Temperature Alert Alarm” beeps and the temperature display blinks when the refrigerator senses a high temperature rise. The temperature display is blinking? It is too warm in the refrigerator and the fridge will beep indicating high temperature. The alarm button is illuminated? The refrigerator doors are detected to be open. TURN ALARM BUTTON OFF TO SEE IF THE BEEPING STOPS. 1. Open the fridge doors to inspect inside and confirm nothing is blocking them from completely closing. 2. If the temperature display blinks but the fridge doors were not left open there could be a cooling problem. 3. Check that the wiring was installed properly on the top of the refrigerator door if this issue has occurred since install. 4. Make sure the alarm sound is coming from the refrigerator and not another item in your kitchen. 1. Press the buttons on the display panel to see if the beeping sounds different to be sure beep is not coming from elsewhere. 2. Leave the refrigerator door open for 3 minutes to hear if the alarm you hear is the same as the fridge alarm. 3. Remove power to the refrigerator to see if the beeping continues when the refrigerator is powered off. 1. 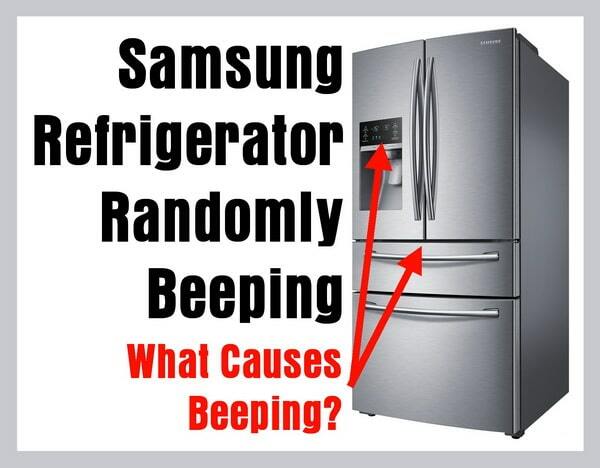 Beeping occurs at random times without even touching the refrigerator. Unplug or remove power to the Samsung refrigerator to attempt to reset the beeping problem. 2. Was the door removed when you received the fridge? The wire harness on top of the door is partially connected and this can cause the random beeping. Find the wire harness on top of the door and check to be sure it is fully connected and no damage is found. 3. The ice maker display switches from water to crushed ice to cubed ice and therefore beeps. Try resetting the ice maker to reset this issue. 4. 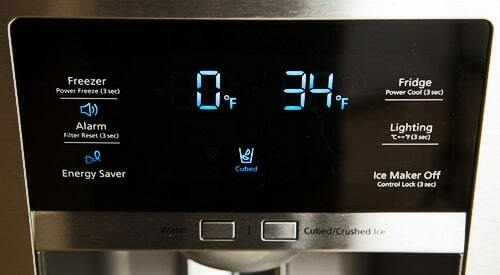 The display panel indicates temperature and cycles thru the ice settings. Check this by inspecting the wire harness for partial connection on the display control board. 5. 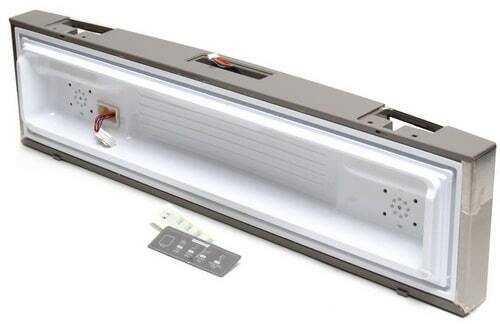 The REED SWITCH (on some models) can become faulty and cause an OPEN DOOR ERROR and might BEEP, replace REED SWITCH if found faulty. 6. The flex drawer causes the beeps as it changes temperatures. -Reset drawer by flipping the switch from OFF to ON. You should now be able to change the temperature and stop the beeping. 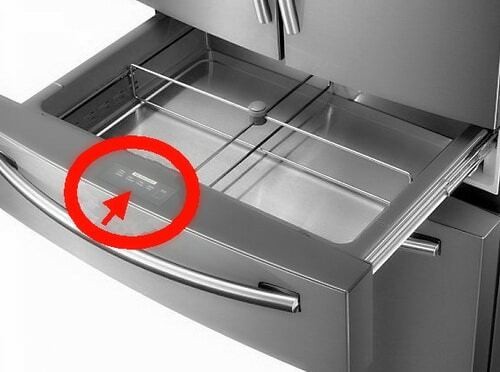 -Remove the plastic film from the temperature control panel on the drawer, as this has shown to fix the issue. FOR MODEL NUMBERS: RF28HMEDBSR, RF28HFEDBSR, RF30KMEDBSR, RF31FMEDBSR, and more. 1. The flex zone drawer changes temperatures on its own and then beeps. 2. Flex zone control panel is unresponsive and randomly beeps. 3. The control panel illuminates and changes from water to crushed ice to cubed ice on its own. 4. When dispensing water the refrigerator switches to ice by itself. 5. Once the compressor spins down, it beeps and then switches from cubed to crushed ice. If you have observed any of the problems above and found a resolution for the control panel chiming once or twice then changes from water to ice, the flex zone drawer changing the temperature on its own, flex zone drawer temperature panel not responsive, or the display panel switches to ice after dispensing water. If a Samsung refrigerator owner or an appliance technician has resolved any of these specific issues, please leave a comment below and let us know how this was resolved. 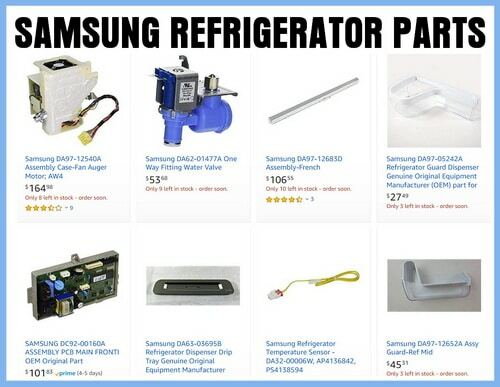 Do you have questions or comments related to a Samsung Refrigerator Randomly Beeping? Please leave your issue and model number below and we can assist with troubleshooting. We have a Samsung American fridge freezer model number rsg5uumh which randomly keeps beeping on the freezer side. We have checked everything we can think off and doesn’t seem to be anything wrong. We tried turning it off and back on again. Looking round the seal checking the temperature and it all seems fine. There is also no ice build up and not over packed. Any suggestions on what it could be.